Paper Crafts by Candace: What's This? What's This? A Nightmare Before Christmas MINI blog hop! I made Zero!! And I put him on the Handle Bag from SVG Cutting Files! Here is a side view of the Handle Bag. Underneath the purple filler I have some candy! And here is a close up of Zero. 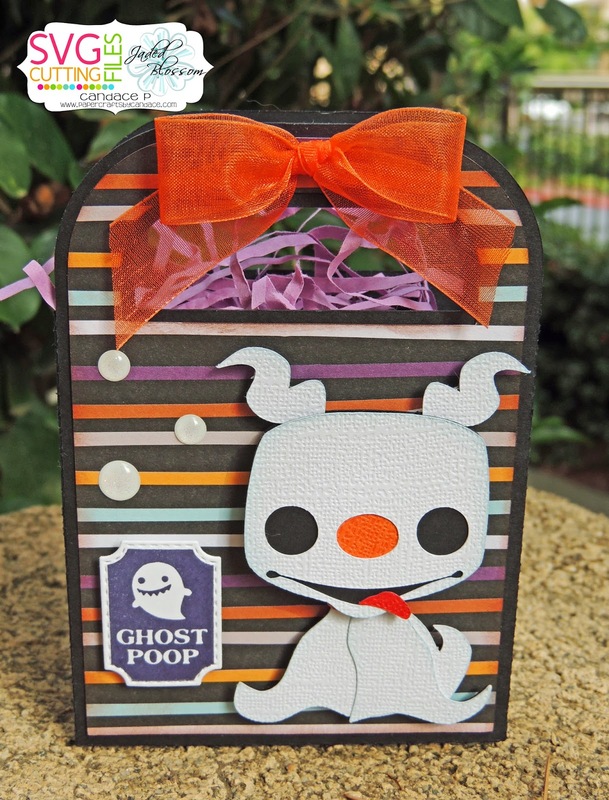 I also used Jaded Blossom's Halloween Dies and Spooky Labels. Thanks so much for checking out my project! Click the image below to request your files. Love your treat bag! Great job on your project! Thanks for another great hop! AHHHHH You all saved the best for last I love the Zero! isn't he adorable? My favourite, I think. I'm super excited for this blog hop. Nightmare Before Christmas is my daughter's favorite movie. Thanks so much for doing this. Zero!! Love him!! You just bumped my favourite to 2nd spot - he is the BEST! oh I'm so glad Zero is here! Awww he is so precious!!! Your bag is so cute -- love Zero!! Just when I thought they couldnt get any cuter. Love Zero!!! yay! I was hoping for zero... he is too cute... love it. So glad to see Zero! Wonderful project! Adorable! Love the sentiment, goes perfectly! Just when I thought it couldn't get any cuter ... it did. I LOVE this guy ... I am REALLY going to watch the movie now!! Thank you for another great hop!! Being a 4 legged fur kid lover this project gets 4 paws up. Love it!!! Oh this is a lovely one, thankyou. Zero is so so adorable! Super cute & awesome! Just love zero. Oh my! I totally love Zero! He is just such a spooky cutie! How can anyone not scream for him? Thank you ladies for another amazing hop! Great job on ZERO. Thanks for sharing your ideas. Love this! Thank you for another fantastic hop! You girls are awesome! 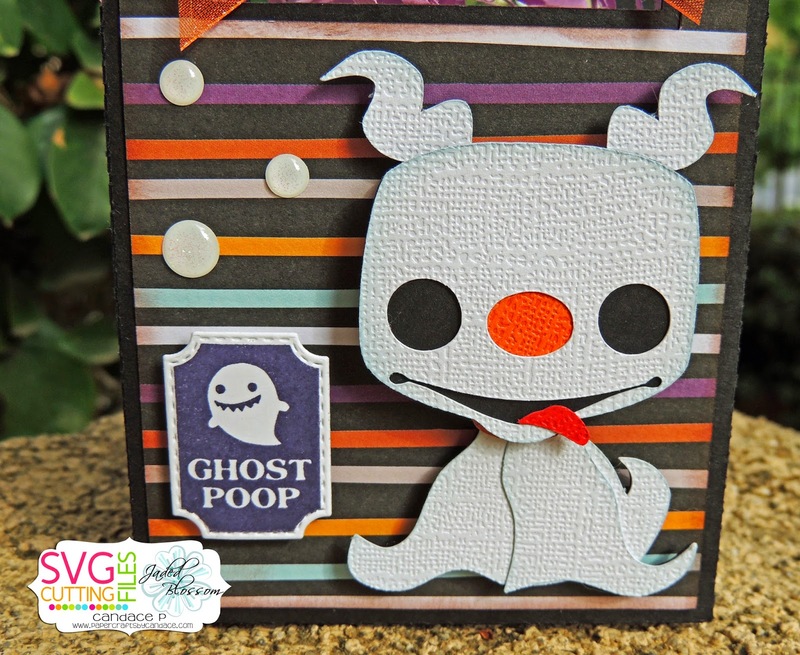 It definitely isn't Halloween without a little "ghost poop"! Too cute. Love this! Sometimes I need something in a theme that isn't as scary for a smaller child and this is perfect! So cute. Someday I'll watch this movie. Love this! Love the bag, love Zero, love the tag LOVE it all! what a great job you did on the treat bag...so happy! Another great blog hop! Thank you! oh my goodness! he is adorable! thanks for sharing! lol Ghost poop! Love it!! Cute! love it! great box! You guys always do the best hops, look forward to them all and get really bummed when I miss one! Very cute!!!! I wondered if there would be a zero! Love your use of textured paper on the ghost, I find this once in a while at Walmart, but it's hard to find. really adorable - love the idea. YAY. i loved this hop! i love the colors and detail! cute bag! i love those colors!! This is "adorable" and love the details. Super cute!! Soooo cute! I love zero! Great idea, I love this project! love your bow tying skills!!!! love the bag!!! once again you have an amazing project! Im not familiar with Zero, but this is absolutely adorable. Thanks for sharing. So Cute...thank you for sharing with us. YAY Zero is the best, and yours is a cutie. Zero is SO cute! 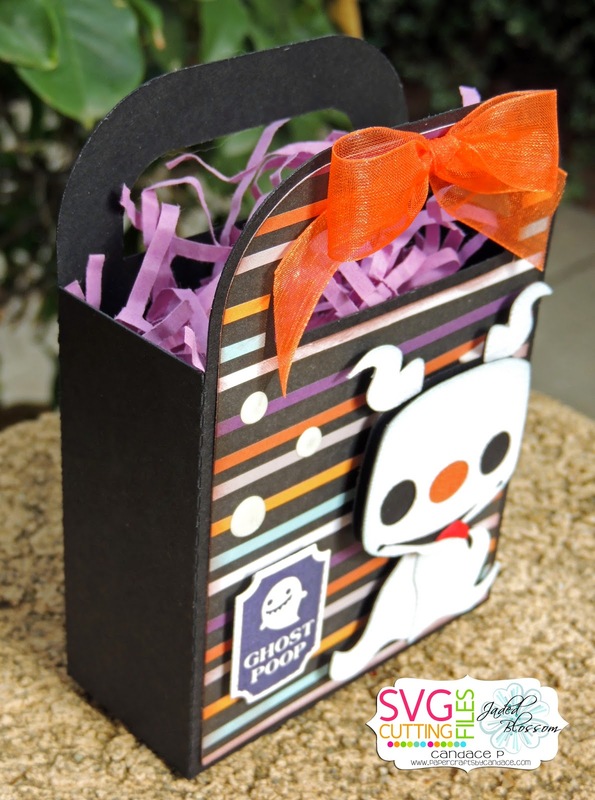 Love the cut treat box:) Super cute files! Zero is one of my favorite characters!!! I love it!!! I love your hops. Thanks so much for all the team's inspiration. My fave! So so cute!! So cute. I love this ! I love this! Thanks for the Hop!!!! Awww, this is really cute. Love the papers - perfect background for Zero. Love Zero! Thanks for including him; super cute! Awww....Zero! Who doesn't love this cutie? On a scale of 1-10...this is a ZERO!!! Hee! Hee! Super duper cute! Thanks for a great hop! Great way to start the day!!! Aww...Zero! What a perfect file to include in the hop! Oh my - he is too cute!! Zero is absolutely adorable! Awesome project! Zero looks great! Super job!! Zero is the cutest little spook! Love your project. This is definitely my fav! SO CUTE!! Zero is my favorite. Using must a basic stripe paper worked well. Love all of the talent you have. That is the cutest ghost dog and what an appropriate sentiment than ghost poop! Love this project! Beautiful bow! OMGoodness! This bag is soooo cute!!!!!! I was hoping Zero would be in the hop! The treat box is adorable and perfect!